The nine-year conflict with Boko Boko Haram , that has killed more than 20,000 people and displaced two million others from their homes in Nigeria, has also spread to neighbouring Chad, Niger and Cameroon. At an emergency meeting of leaders from the Lake Chad region on Thursday in Chad’s capital, Ndjamena, Buhari urged them to not “cave in” to the attacks. The attacks have focused more attention on security issues in Nigeria in advance of the presidential election in February. “Protection is a right that citizens expect their government to fulfil. There is a need to improve security across Nigeria,” Isa Sanusi, spokesperson of rights group Amnesty International Nigeria, told Al Jazeera. Hauwa Liman, a 24-year-old aid worker, was executed by Boko Haram in October after a deadline imposed by the group to release some of its imprisoned members expired. 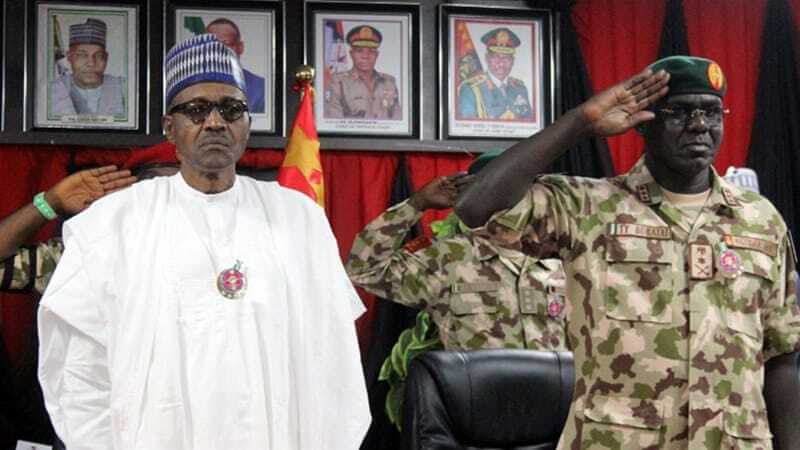 “It’s obvious from the recent rampaging attacks on hard targets (military installations) that the Islamic sect is still a threat, contrary to the claims made by the Buhari administration that they have been technically defeated,” security consultant Don Okereke told Al Jazeera. In December 2017, Buhari secured the release of one billion dollars in additional funds to boost the fight against Boko Haram. “It is embarrassing to hear that seemingly rag-tag band of Boko Haram insurgents outguns and outmanoeuvres our soldiers,” Okereke said. “If Boko Haram insurgents and so-called ‘herdsmen’ continue to ramp up attacks ’til the presidential election, it will affect Buhari’s re-election bid,” Okereke said. “But with or without elections, it is the responsibility of the government to ensure that lives are protected,” Sanusi said.